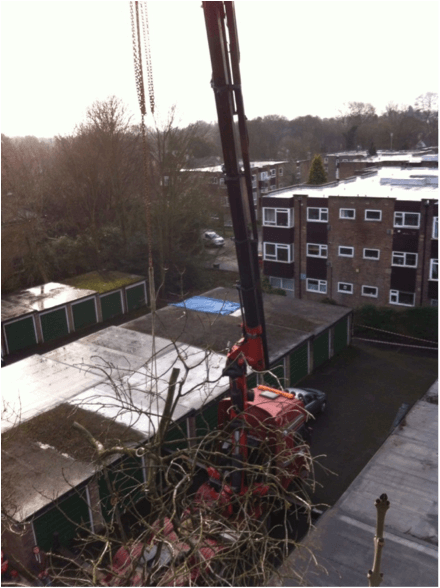 Treesaw was commissioned to remove some large and dangerous dead branches from several mature Ash trees overhanging the neighbouring gardens of a residential care home in Roundhay, Leeds. During the initial site visit to prepare the quote and gather risk assessment data, our surveyor noted one of the trees had severe decay in the base of the trunk. 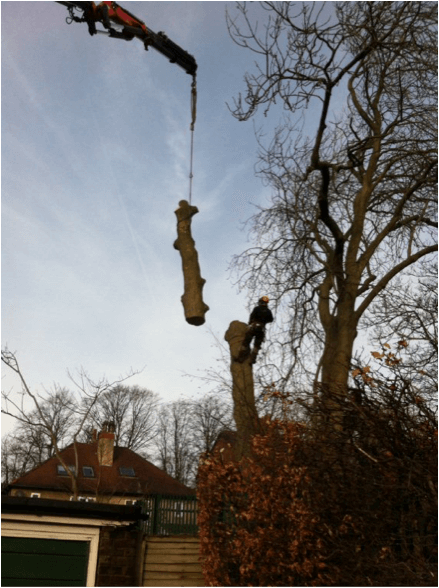 Following another assessment by Leeds City Council, it was decided that the tree should be removed completely. In preparing the works several methods to remove the diseased tree were considered. 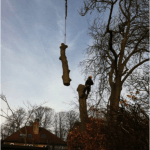 Felling from ground level was not an option due to the limited space and manually dismantling the tree with the use of ropes and pulleys was ruled out due to the extent of the decay. 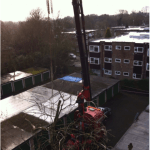 A work at height assessment identified removal of the tree with the aid of a suitably sized mobile crane was the best option even taking into account the close proximity to people and property.